Dishwashers have come a long way since they were first introduced to the home appliance market. The older machines were terribly inefficient, and they didn’t do all that great of a job when it came to getting the dishes clean. When you go to buy a dishwasher now, you have models that are very efficient and ones that can clean even the dirtiest of dishes. When you consider the design style that you are looking for, you have options for freestanding dishwashers, integrated machines and the semi-integrated models. Freestanding dishwashers are popular among many consumers because they do have several practical advantages over the other options. Read on to learn more about the advantages of the freestanding machines and the points that you should look for when you are shopping. After that, we will give you some recommendations for some of the best freestanding machines that are available today. Benefits of Having a Freestanding Dishwasher. The main benefit of having a freestanding dishwasher is the same benefit that you would get with any dishwasher: you don’t have to wash your dishes by hand. Washing dishes by hand takes time out of your day and it requires a significant amount of effort. Furthermore, you don’t have to leave the dishes stacked in a rack while they dry. They dry in the machine, so they don’t take up space on the counter while you are waiting to put them away. As an additional point for dishwashers in general, a good machine will also provide a more hygienic cleaning than doing it by hand. The dishwasher can heat the water to higher temperatures than you would want handle with your hands. This kills more of the bacteria that could build up on the dishes. When you are specifically talking about freestanding machines, the big advantage that they have over the integrated models is that they are more flexible in their installation. The integrated models have to be built into a space in the kitchen. With a freestanding model, you do not have to go through the additional work. This makes the freestanding machines easier to replace, as you will not have to find one that fits the exact dimensions of the old machine, and it means that it is an appliance that will be easier to take with you if you move. Another point that makes freestanding units a better option is that there is a wider selection. If you are going with an integrated dishwasher, there are plenty of machines out there, but it will be easier to find a freestanding model that meets the needs of your home. And finally, built in models tend to be more expensive. Once you know that you want a freestanding dishwasher for your kitchen, there are other points that you are going to need to have a look at. First, your budget is going to be a key factor in defining the range of options that will be available. After that, you are also going to want to consider the amount of space that you have for the machine. Another important consideration is the number of place settings that it will hold. In this article, we are going to focus on the full-sized machines. These models start at around 12 place settings and you can find some models that go to 14 or 15. The general idea is to get a machine big enough that you will only have to do one cycle on the average day (but this isn’t a hard and fast rule and will depend on personal preference as well as how many glasses, plates, bowls etc you happen to have). Many of the full-sized machines will even have the half load setting, so you do not have to worry too much about wasting water and electricity when you only have a few items to wash. In shopping for a dishwasher, you want to get a machine that has a good level of interior flexibility. Look for features like a height adjustable top rack, folding tines, moveable cutlery baskets or special features like the third row cutlery tray or folding racks for large utensils and cups. With an interior that offers more options, you can fit in larger items or it can make it so you can fit more dishes in one load. It can help to check out the features and programmes before you make a decision. Some machines will just have a basic selection, and that is fine, but there are dishwashers that have sensor washing, sanitise settings, a half load feature and settings for glassware and delicates etc. You can find lots more general buying advice and tips in our buying guide here. Taking into account all these points we’ve listed our top recommendations for the best freestanding models currently available below. Prices vary quite significantly so your budget will probably, to a large extent, dictate which model will work best for you. 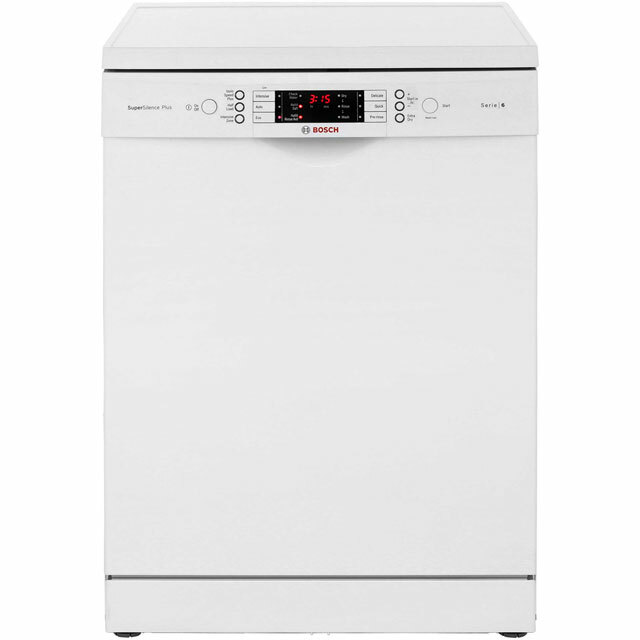 The Siemens iQ700 SN278I26TE dishwasher is a freestanding machine that performs well in every way possible. The machine has a 13 place setting capacity, for fitting enough dishes for a family and it has some of the most advanced features that you will find. The interior of this machine offers a level of versatility that is hard to beat. It has the Siemens varioFlex draw system with folding prongs and racks, a top basket that is 3-stage height adjustable and it has a third tray for cutlery instead of using the basket. The loading is simple, the machine makes good use of the space, and you will find that there are few items that you will not be able to fit in this dishwasher. As for programmes and features, you get a great selection with this machine from the iQ700 series. It has three automatic sensor washing programmes, an eco wash, a quiet night wash setting, quick wash, glass and a pre wash. In addition to that, you have special features like a hygienic wash, VarioSpeed, and half load. 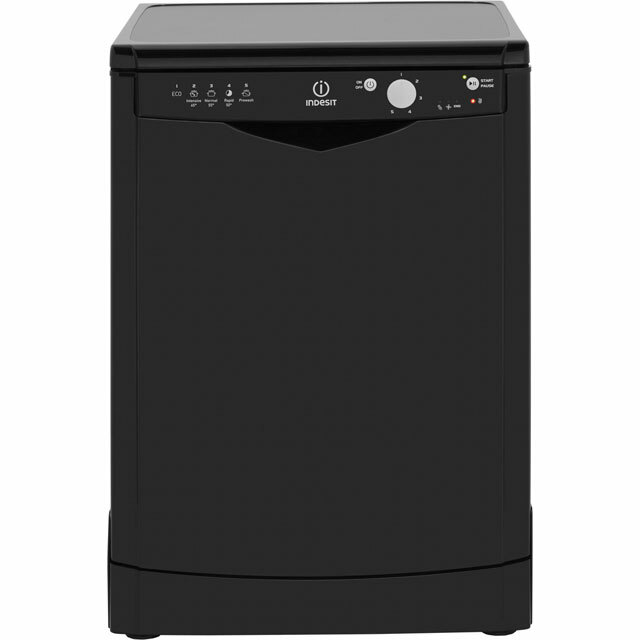 The Miele G 4920 SC is a 14 place setting dishwasher that provides great cleaning capabilities and some good convenience features. This Miele dishwasher is a machine that is built to last and it cleans just as good as any other machine. The interior of this model is well laid out and flexible. The upper rack can be adjusted to three different positions, it has the folding racks and tines and it has the third level tray for the cutlery. With this model, there is a place for everything and you should be able to wash any item that is dishwasher safe. For programmes, you have the auto sensor wash setting for most of your regular cleaning, you have a pots and pans cycle, there is an eco setting, a cycle for light soiling and it has a sensor wash for gentle. Beyond that, you also have a speed up feature to cut the wash times. It may cost a bit more than some of the other models, but when you consider the performance and design, the Bosch Serie 6 SMS69M12GB offers great value. This machine can fit a total of 14 place settings in one load, and it is made to handle all of your dishwashing needs. The interior of this Serie 6 machine is great for fitting a lot of dishes. To start, it has three levels. You have the two standard racks, then you also have a third level rack for your cutlery. Along with that, the top rack is three-stage adjustable and it has a number of folding prongs and dish holders. When it comes to your cleaning options, this machine has a good selection of programmes and options. It has six programs, including auto sensor wash, intensive, eco, delicate, pre rinse and a 30-minute quick wash. For the added features, you have VarioSpeed for reducing cycle times by up to 66%, you have intensive zone, half load and extra dry. The Hotpoint Ultima FDUD43133P is one of the more versatile machines when it comes to programmes and features. It can hold up to 14 place settings per load, it comes with adjustable racking options, and it delivers good results on almost every job. The interior of this machine should be good enough to satisfy most users. It does have a height-adjustable top rack, the racks and prongs can be folded down to make room for large items and while it does not have the third level cutlery tray, it does have a basket that can be moved around for more positioning options. The features and programmes is where the FDUD43133P really stands out. It has 11 programmes and it has features like zone wash and extra dry. Among the 11 programmes, you have sensor washing options, a 30-minute quick wash and cycles for sanitise and eco wash. 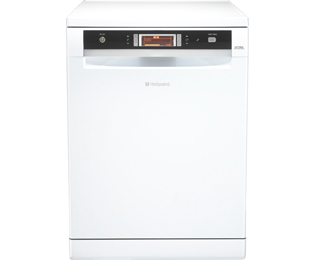 If you just want good wash performance and you are working on a budget, the Indesit DFG15B1K is a good option. You don’t get advanced features like automatic sensor washing or a cycle speed up feature, but it is a good machine at a low price. Even though it is a low cost machine, you still get a decent level of interior versatility. The top rack is height adjustable and it has different folding racks and prongs. The other machines on this list do offer a little bit more in this category, but you can fit 13 place settings and it is still good for the price. This machine offers a selection of features and programmes that are pretty slim, but it should be enough for most homes. The programmes include normal, intensive, eco, pre wash and rapid. You do not get sensor washing, half load or a speed up feature, but it does provide good cleaning, and that is the most important thing to look for. A full size freestanding dishwasher can be ideal for a home that has a lot of dishes that regularly need cleaning. If you have the budget, you can get a machine that comes loaded with great features and interior racking that offers a lot of options. However, even if you do not have a huge budget, you can still get a good dishwasher that will perform well for your basic needs. In the recommendations we have listed here, there are machines that can fit different budgets and different homes. Beyond this list, there are other good machines if you have not found what you are looking for here. We have a full section of freestanding dishwasher reviews if you want to look at some other models or you could use our buying guide to provide tips for finding the right dishwasher on your own.